Our core crew of technical staff have a wealth of experience installing structures, field monitoring and undertaking analysis. We hire a number of seasonal technicians and coordinate volunteer crews. Ross is now the field lead in the Asotin Creek IMW and been expanding his experience in building and maintaining PALS and BDAs. 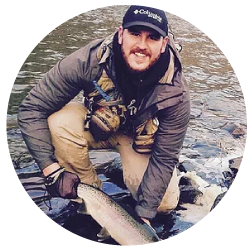 Ross worked for several years with ELR as a seasonal fisheries technician before joining them as a permanent field lead in 2016. Ross is indispensable in directing fish and habitat monitoring surveys and restoration implementation on projects throughout the northwest. Before joining ELR Ross received a B.S. in Wetland Resources at Washington State. He currently lives in Clarkston Washington with his wife Ashley, new son Riley, and dogs Mack and Luna. Gary O'Brien is a Staff Researcher at Utah State University and the Coordinator of USU's new Restoration Consortium. Gary works as needed on projects for Anabranch on geomorphic assessment, geologic context, riverscapes planning work and technical review. Gary is also a critical liaison with the Restoration Programs at Utah State University and connects students to internship opportunities and work experience, which is required for them to earn degrees. Gary has an MS (2002) and BS (1997) in Geology from Northern Arizona University. 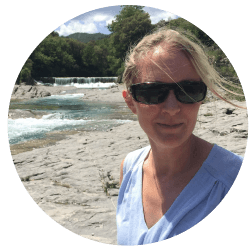 Gary is both a geologist and a fluvial geomorphologist who, over the past 20 years, has worked on research ranging from understanding contemporary processes in modern rivers, and ancient alluvial and paludal records. In addition to varied field applications (geomorphic mapping and stratigraphic profiling, GPS and total station surveying, river navigation and airborne photography), he has overseen logistical and administrative aspects of large research projects, taught university courses and mentored students in the field. 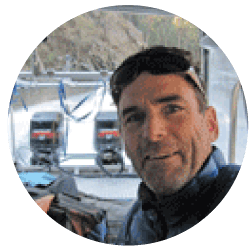 In addition to research in riverine environments, Gary has been a professional river guide on many western rivers including the Grand Canyon, and currently enjoys mountaineering, cycling, and aviation. Doris keeps Anabranch running smoothly. She is in charge of all the bookkeeping, invoicing, accounting. Without her, we'd be lost. It helps that Doris's husband is Steve, so she can keep us organized. Doris has a background in medical laboratory technology and is an avid skier. Adrea is responsible for helping Anabranch convey its messages effectively. Through her graphic design skills, she helps us illustrate concepts and maintain consistent cartography. 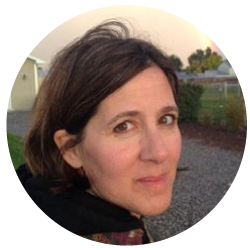 Through her editing, she also helps make sure that whatever we write makes sense to a lay audience. Adrea has a background in landscape architecture, environmental horticulture and graphic design. Adrea's husband is Joe, and she helps keep him grounded in reality. Adrea is an avid gardener and self-confessed plant nerd. She loves hiking and travelling with her boys.